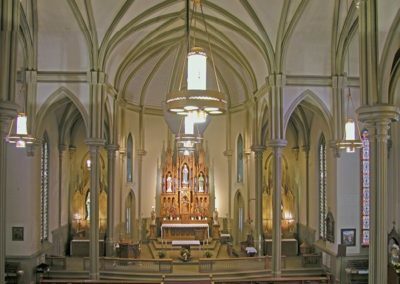 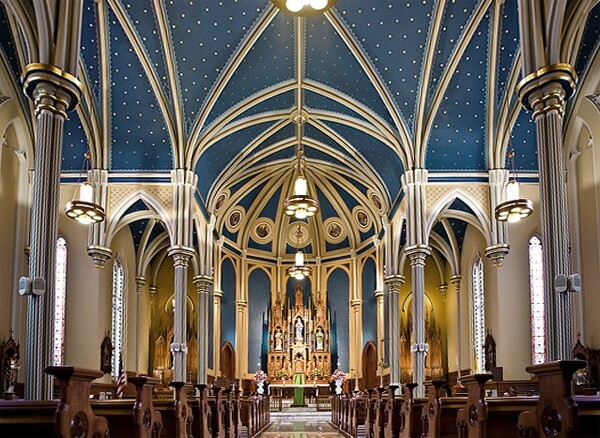 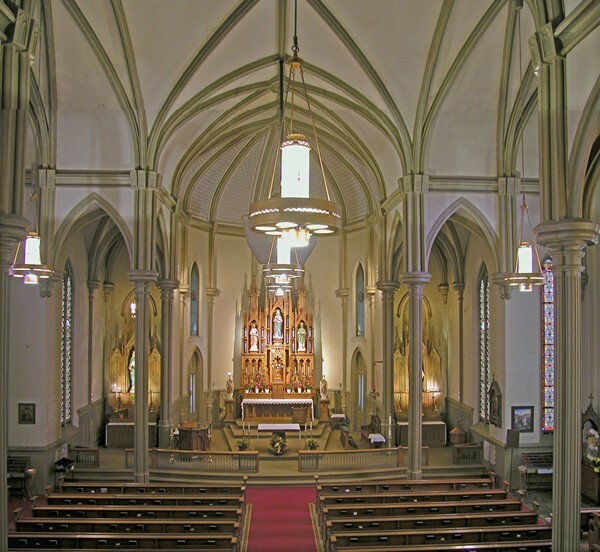 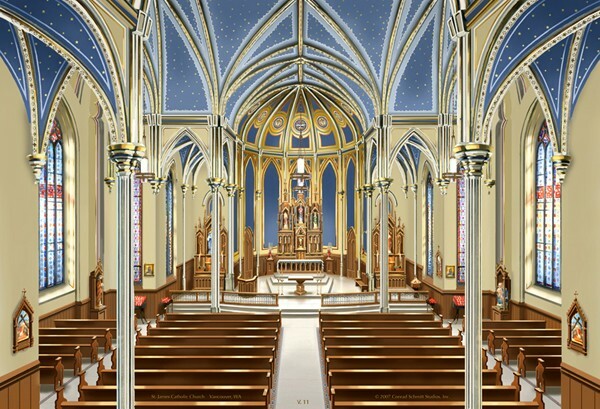 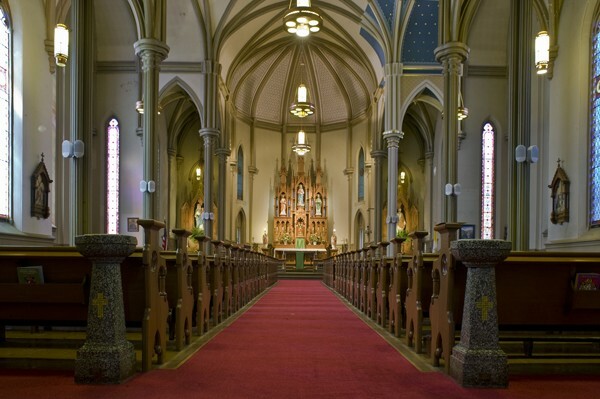 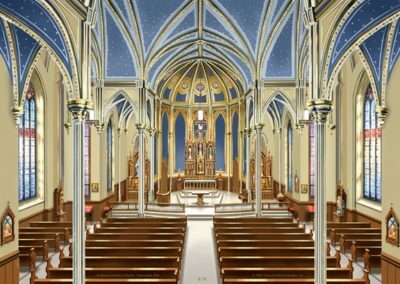 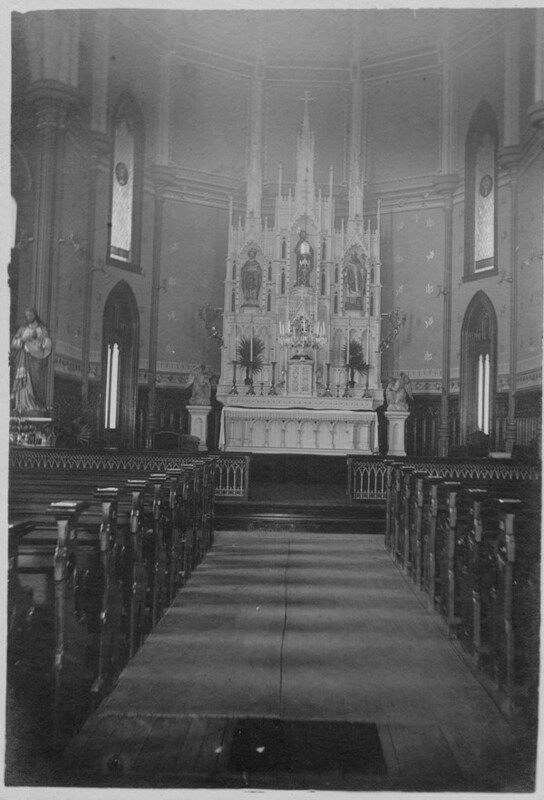 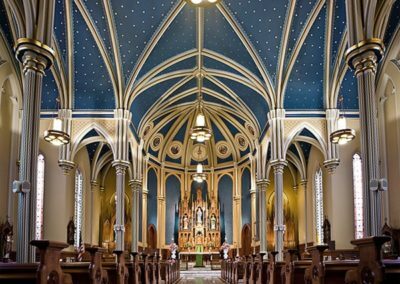 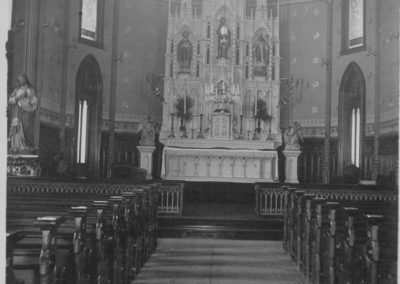 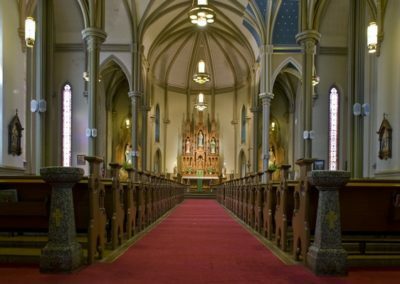 An extensive interior restoration project was completed by CSS for this historic Catholic church in Vancouver, Washington, built in 1885. 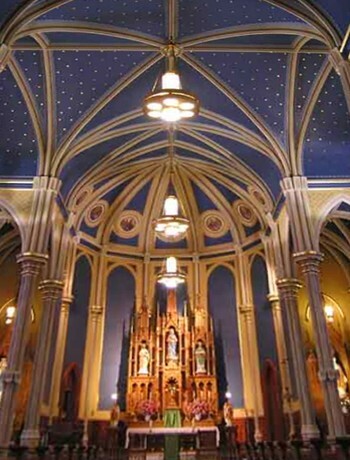 The project involved inspection, cleaning and plaster repair, a new paint scheme with decorative stenciling, wood graining and gilding with 23KT gold leaf. 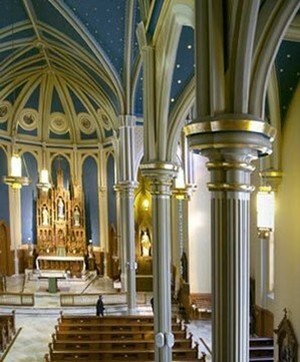 Once again, the congregation has a beautiful worship space for generations to come.